Fuse brought this up in here and I thought that perhaps I could do a summary about it. It'll be a bit long, I admit. Originally B200E, AW70 and 1030 rear. Almost top notch equipment which means electric front windows Came to Finland from UK about 10 years ago along with the owner. I bought it 2010 only because of the good body. Aand since then it has been only downhill, for my wallet at least. First changes in 2010 included interchanging front brakes, suspension parts and axles with previous daily driver, 242 -81 2,46l 16V with Eaton M90. Rear got Truetrac inside. Some pics here. 2011 included converting from RHD to to LHD with parts laying around, some rust removal from frontend and assembling and fitting in B6254 with B6304 crank. Therefore "B6284T". 2012 came with Kaplhenke topmounts with an extra spacers to set the height correct with old shortened springs. 2013 got suspension mods, gearbox changed from M90 with 2-plate clutch to BMW GS6-53DZ with -765 SRE and stiff sintered plate. Some 2014 and 2015 pics. First pics of engine build, fitting, etc. here. Evo 1, year 2012. Engine bay pic. 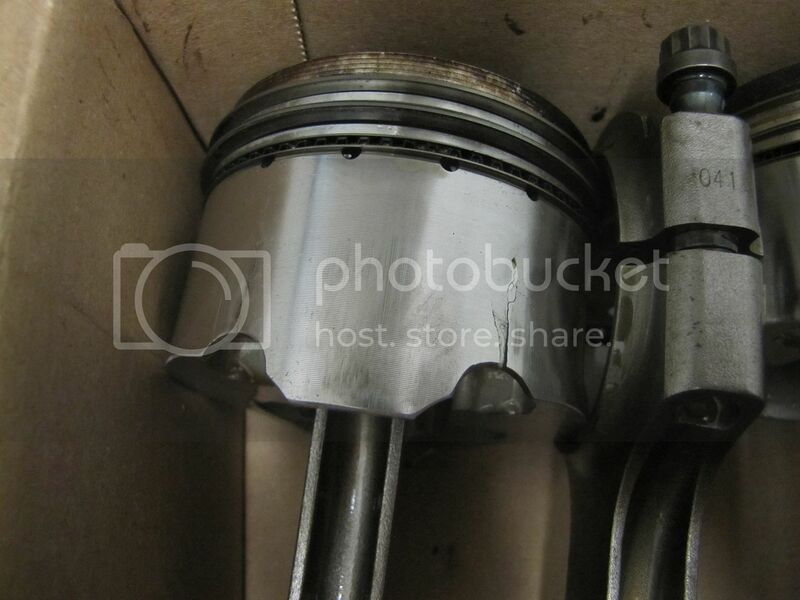 - Stock B6254 block, B6304 crank and 204hp cams, stock T6 pistons, H-rods. - Stock RWD intake manifold, self made exhaust manifold, B6304 head with basic valve job and mild self made porting, 50mm HKS-style wastegate, 70mm dump from previously mentioned 242, basic 400x300x76 intercooler. - HX40 Super #17 exhaust, 3,5" dp, front silencer and over the axle 3", rest 2,5". - MS1 V2.2, boost 1,5-1,6bar, fuel 98 octane, 683cc Siemens injectors, 044-copy pumps, RWD coils. In print. Boost was ~600rpm late compared to normal driving. Dyno vid. Stangind mile with 1,3bar boost 156,8mph/251km/h in 2012. Incar vid. With this version I broke one M90. Both gearboxes got some nice lovin' in the track Also broke one piston with a settings mishap. And in the end a rod bearing and crank when an oil seal gave up in full pull and I didn't notice it until oil pressure light lit. After this I took engine apart and car stood in a shed for a year. Evo 2, year 2014. Only changes to previous mentioned. - Pistons Wiseco 81mm with 9,5 comp from Flatlander-Ipp. Lasted under 10000 miles, then cracked. - T6 block and crank, stiffer valve springs. The goal was to barely reach 700hp but it came so easily. Didn't even need better cams or such. Cams have a small timing change from stock to take torque higher and they have been on the same setting since this dyno. Nice engine to drive over winter. Evo3, a couple of months ago. Engine bay pic. - Still Wisecos, some time after this they broke. - Aftermarket fuel rail, boost 2-2,1bar. Head gasket blew some time after dyno. Propably done over time with bit too much ignition advance. After changing gasket, I fought a while with ignition. Changed new plugs, basic BCPR7ES with 0,65mm gap and updated to T6 coils. Wasted spark. First pull with everything working great, got some speed on 4th gear and then it blew the gasket again. This time reason was that thread in block gave up on one bolt. I had to put a threaded steel sleeve in there after failing to drill broken head bolt correctly out. Nothing new to snap a head bolt while first time opening a 81mm bore B6xxx engine. Has happened now five times with the same bolt on exhaust side between cylinders 4 and 5. And all have not been opened since leaving factory. Evo 4, last thursday. Though this is a lamer version but the latest as well. - 4" dp, Griffin 24x19" radiator, Garrett 24x12x3,5" cooler, all changed in hopes of getting a new dyno results with previous engine. Almost no power 699,985hp and 843Nm. Fuel system: 2x K-jet copy pumps, 12mm line from tank to pumps and 10mm line from pumps to engine. No catch tank, no prepump. Body: No mods, yet. Added upper and lower supports to engine bay of course. Powertrain: Gearbox BMW GS6-53DZ 6-speed. Billett flywheel, clutch -765 M5 SRE with stiff 4-plate disc. Stock driveshaft, stock 3.31 1031 rear with Truetrac. Suspension: Gaz adjustable shocks all round, polyurethane bushings, strengthened front control arms and rear upper too. Coil springs front, basic shortened lowering spring rear. Front sway bar 24mm, rear 19mm. All control arms and engine beam(or whatsit) hot-dip galvanized. Brakes: Front 00-> T5/etc. 305mm discs and calipers with custom spacer. EBC TurboGroove disc. Rear stock disc for now. Yellowstuff all round. And to the latest event, standing mile yesterday. Made an extra front lip Friday/Saturday night for trying to get less air under the car. And propably to lessen the airpocket effect in engine bay which these have quite badly. Lowered the body 1cm. Front lip helped a lot on the road with heavy sidewind. Decided to tape front decently to prevent stuff taking off. Luckily got a pull before the rain. Calm start, nice clean pull and before the finish started to wonder why does it feel like I've hit revlimiter(7400rpm). After checking the results it felt like it because it was hitting it. Expectation for barn door aerodynamics were not too high, around 172mph/270-280km/h. Surprise was quite huge with 188,75mph/302km/h. In the end car was clearly lifting. Have been thinking about 3.15 rear and putting 225 tire to the back(got two semislicks waiting). It could be just enough for 200mph/320km/h but it requires also more aero mods. Everything has been done by me, except machining and aluminium welding. I have gotten good advices from a few friends who have more experience in powerful engines, this began as my first turbo build. I had done two supercharged 16v redblocks with decent success before. I'll write some smaller things afterwards. I'm not even trying to write down everything what has happened with this, it would take far too long and everyone would be bored. Propably got something wrong, will correct later. If any questions, please do. Last edited by Lankku; 01-05-2018 at 05:50 PM.. This brick is fantastic. I can't believe it went 300kph. Great work. What, no engine bay shots! Don't make me have to go to the inspiration thread! Super clean car, polaris look great on it! What, no engine bay shots! Yes there are. Or was one, link after text: Evo1. That was the first version with HX40. Last edited by Lankku; 07-22-2017 at 11:32 AM.. Cool. Had seen some vids on youtube and the finnish forum before, nice to see you here. Awesome results! Not easy to change the swing direction of the windshield wipers, eh? Looks like the "cowling" panel below the windshield has the wiper holes in different places? I'm guessing it isn't road legal in Finland? Have not had any rear problems due to power. I just drive too nicely, I think... Had a Ford 8.8 with 3.07 ratio ready for this but sold it after Wisecos gave up. It was purely thought for some 1/4 mile pulls and it would have given better ratios for standing mile. I'm sorry but no win there for you I like to keep my cars papers in order according to what they have in. Hasn't been a problem yet with any of my builds. All cars in my vids for example are road legal. You'll just have to make a street tune for acceptable power. Better ask questions first and prepare for it. Yeah, it's not too easy and why bother anyway. The whole section between windshield and firewall has to be changed for that, inside and outside. Did a quick check after work. Nothing out of ordinary, some small oil leakage from gearbox. Propably through breather. Forgot to mention that I have used feeler gauge strips in the small waterchannel between cylinders to give support. Thickness 0.8mm/0.0315". And Valvoline 10W-60 VR1 as engine oil. Last edited by Lankku; 05-25-2015 at 01:54 PM.. It's a good basic build and can make decent power and nice torque reliably. According to what I know, B6254 block is good for 600-650hp at least. When you have some nice figures you'll just want a bit more I was going to try 850-900hp out of my previous version with 4" dp and Garrett intercooler before pistons broke. That would have been just something else, torque estimate around 1000Nm/~737lb-ft. But that's that for now. Forgot to mention wideband in the specs before, it's Innovate MTX-L.
Well done that man! Love it! Few updates here, I'll just blurt it out. Bought two Federal 595 RS-R 215/45717 semislicks for front and earlier bought two Nankang NS-2R soft 225/45717 for rear. Now second Polaris set has these. At least they're cheap and seem to be working ok. I have begun trying to make bottom of the car more aerodynamic. Front lip was great success even it's not so accurately shaped. Last saturday started with the front. Used "a couple" of hours to make pieces from sheet metal. It looks ok but would need high speed testing. Got to do the rest and try out later in a standing mile event. Then we'll see if it'll fly or not Attaching is made completely with bolts, I'll try to simplify it even more for faster attaching and removing. Not going to keep it hanging when not needed. At least not in front because it's so low. As on standing mile the weight of the car isn't a decisive thing, I'll propably will make everything from sheet metal at first and then decide if I'll change it to aluminium. And the rest are here. Just keep going to the right to see all. While scrolling pictures in the last link, you'll see the new "fancy" breather can I did in the meantime from 3,5" pipe. A bit big and needs better support but it fits in. Took it to the local track(Motopark Raceway) last Sunday with 1,5bar boost. Tire pressure was clearly too high, have to set it lower next time. Federals kept up nicely cold and hot but Nankangs were in trouble after getting hot in a couple laps. And a bit when cold as can be seen in the video taken outside and in the end of incar vid. I had all front bottom parts on while driving, at least didn't make it worse but speed was only ~230-240kph/145-150mph before braking on the back straight. No problems, though did shave off over 3 second of previous best lap time with this car Practically only because higher straight speed. Didn't take corners that hard and first time since last year. And just as a quick notice, I have power steering rack and ball joints but no pump, so it's a bit stiff but I have taken keen to it. This track suits this kind of car nicely and I didn't think that correct gear would be so easy to find to different situations. Would need even wider ratio for rear in some places and I'm on the look for 3.15 rear. It would be good for standing mile too and that's the main reason for it. Last edited by Lankku; 07-22-2017 at 11:34 AM..
That looks properly quick for skinny tyres and no cage. My heart rate went up watching the in-car at 3:15 when she stepped out on you through the small kink on the back straight. I would've needed to lay down after that. I have been thinking of making a "cage" somewhat integrated in to the body. It is daily driver still, I want to keep it almost stock outside and it occasionally needs to seat more than one or two. Not the first time to have a little slip on track so it wont scare me. Several years ago lost control of 242 in the same back straight corner on wet. Did a complete 360 spin ending up on to the gravel left of track. Speed was around 160-170kph/100-105mph. Small bump in the inside which helps, at the same point it tried to take off now too. For me the first one in the video was more surprising Just gave gas too early. I like how old and dangerous that track looks by modern standards. The timing tower isn't even protected by walls or guard rails.....I guess no one has hit it yet. The car looks really fun. 2 years ago with street tires, old engine and ~1bar boost. Not really pushing it on the straights. Last year 142 felt like home there. 245 GL -90 "B6284T" and 245 GL -88 "B6284T"
Summer included mostly driving. Old rear upper poly bushings gave up completely. One cracked through. Replaced them and encountered a problem. New bushings were softer than old beaten ones with extra thickness on sleeves. Driveshaft took contact with floor while accelerating hard. Before I had time to get new 3mm thicker sleeves machined, I put poly inserts in rear axle bushings. This eliminated the driveshaft problem completely. I did of course install thicker sleeves to rear upper bushings too. This made rear feel quite good. I was looking for thicker sway bars and IPD was almost only offering ones. Bought 25/22mm set and the little I have driven with it gives a nice feeling. Haven't yet had possibility to push hard enoug to really feel the difference between old ones(24/19). What else? Well I did do another standing mile run last Saturday. Didn't go even close as planned. Pull felt ok but not too good. Just around finish line started to behave like engine was on rev limiter but harder. Few seconds later coolant came through exhaust. Well, at least it did 290kph/181,25mph Laame. First I thought that another of two main pumpus did not give enough pressure but after taking head off it looks like cyl. 5 injector failed causing hard knock/etc. Not much to do. Plug melted and cylinder head melted between exhaust valves and another valve broke. Cylinder has deep scratches and there is a doubt that if sleeve has cracked. That because gasket is not broken. Haven't opened more yet but piston is done of course. Such is luck that the piece of broken valve did not hit turbine wheel at all. New engine will be just about the same. I'll just have to take the block and such from spare parts car. Heads I have lying around, one will have a small port and valve job. Lets see if I will now buy better egt sensors, old ones were too slow to begin with. That is that for now, new updates will occur when there is something to say. But before that I'll just leave some more text here. Bought a second 245 with an ok body a couple of months ago. -88 GL, B200E and M47 with 177000km/110625miles in odo. Outside pics here after buying and after some small mods. After a week started happening a bit. Used another week to put a "B6284T" in it. Same stuff as -90 first engine. B6254 block, T6 pistons, H-rods, B6304 crank, 204hp cams, MS1 V2.2(changing it to MS2), 870cc injectors, etc..
5-cyl flywheel with M5 -765 SRE pressure plate. First had M90 with T5 disc, now it has BMW GS6-37DZ with modified bellhousing. Fuel lines are still stock from tank to main pump. Moved filter next to main pumpu and changed feed line to 8mm hose. Ithelped a little with fuel. I'll most likely update the whole line later, isn't enough for E85 yet. Suspension is still quite basic stuff, haven't done "much". Shortened old stock front shocks, shortened front springs with 14.5mm wire. Stock rear shocks, shortened HD springs. Adjustable shocks are coming from GAZ. Polybushings front, rear upper and panhard. Poly inserts with NOS rear axle bushes. Sway bars from -90, which means 24/19. Changed rear axle from -93 245. Was 3.73 and now is 3.54, much nicer to drive. Changed also rear seat from -93, just to have headrests. Will change electric windows, -mirrors and central lockings from it as well. Some pictures of the build here. Last edited by Lankku; 07-22-2017 at 11:39 AM..